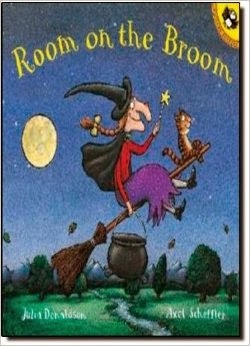 It is a bit funny how what I wanted to share with you today reminded me of a great book for kids—Room on the Broom. Yet, it's right for the season and the reason—making room in my heart and home for a new dog. While most of my family, friends, and neighbors were preparing for trick or treaters yesterday, I was busy being a good witch preparing for the arrival of my foster dog. With Valentino to arrive on Wednesday, I used my broom to sweep the floors clean, vacuumed carpets, and washed my bedding, as well as that which would be his. 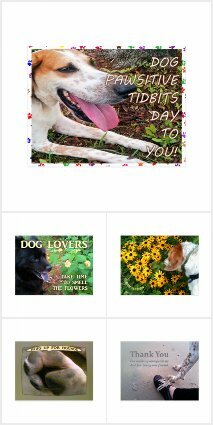 You see, even though these things were basically already clean, I wanted there to be as little trace of the scent of my dog Tidbit as possible upon the new dog's arrival. I guess I was thinking he might be intimidated by her presence. Some of this was also done with mixed emotion. I'd purposely left Tidbit's things around for me, still mourning her death of four months ago. I still smiled at the ramekin tucked in the corner between my desk and bookshelf from which she would gobble up her part of my dinner treats when I dined at my desk while working. Tidbit's favorite? Roommate Scott would make cheeseburgers every now and again and he would make her one of her own, crumbling it into bite-sized pieces in her little dish. There was still comfort found in that clump of her hair tucked in the corner by my bath tub where she used to lay while I took my shower. Until now, I hadn't been able to make myself pick it up or sweep it away. Actually, I still didn't toss Tidbit's hair sheddings nor put her treat dish away. Instead, I cleaned the ramekin and filled it with bits of her dog hair I had left lay for a while. Now it's on a special shelf that holds numerous items of value to no one but to me and maybe to the furry friends from which they came. As for the bedding, Valentino will lay upon the same comforter that my dogs Tidbit, Scratch, and NewBe spent many an hour curled up on. In fact, it is the comforter Tidbit gave birth to NewBe upon. Of course, this comforter will not be Valentino's sleeping bed. He will be sleeping in my bed right along with me, as have all my dogs. I've missed having a dog friend in bed with me! Naturally, Valentino will have a basket of toys of his own as well as a collar, harness, and leash of his own for our daily walks. I will, however, use Tidbit's twenty-foot-long leash for beach walking with Valentino. It gives a dog room to roam a bit while allowing me to have a good grip on the dog. 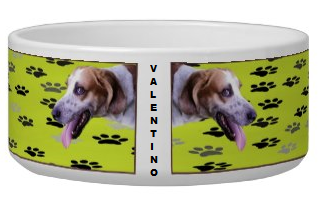 And ... Valentino already has his own dog food bowl, designed by me and customized with his name. 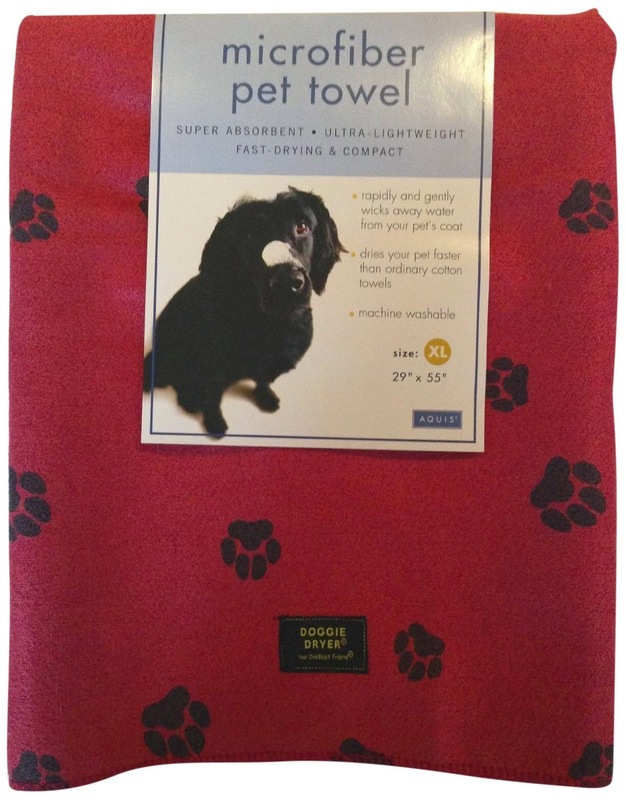 I'll have to get Valentino his own drying towel too, as I am making Tidbit's Aquis Microfiber Pet Towel, Red with Black Paw Prints, into a small body pillow for me for my bed. I just can't give up the need to cuddle up with my best friend. Tidbit may be gone but I will snuggle up with her ... forevermore. And yes, when I get my pillow made I will share it with you! 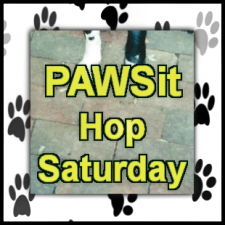 Dog lovers: Share your own tail-wagging tale with us by blogging a dog-related story and linking it up right here below on this post with the PAWSit Hop Saturday blog hop throughout the week.